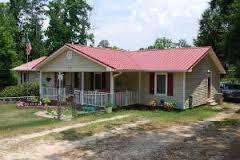 Gutter Cleaning by Competitive Edge Roofing Co in the triangle and all surrounding areas! Competitive Edge also offers professional gutter cleaning. No matter how high or how low we will clean those clogged and stopped up gutters. If the downspouts are clogged we will take your gutter apart and give your gutter a thorough cleaning! We offer very cheap prices on gutter cleaning so cheap you will be amazed. Please contact us at anytime at (336)504-2776 to schedule your appointment for an expertly done gutter cleaning or to setup a free no obligation estimate to have a new metal roof or any type of roof you would like installed on your home. We will also install gutter guards if you would like them! Gutter cleaning in Henderson NC, Mebane NC, Durham NC, Stem NC, Butner NC, Oxford NC, Stem NC, Creedmoor NC, Hillsborough NC, Efland NC, Apex NC, Cary NC, Holly Springs NC, Danville VA, South boston VA, Virgilina VA, Garner NC, Hurdle Mills NC, Leasburg NC, Yanceyville NC, and all surrounding areas if you would like your gutters cleaned by us just ask!